Disband. And stop relying on Astralis to let you win rounds just because both of them are Nordic teams. 0/8 OMEGALUL , zehn is old , toxic , not good for tier 1. You don't even know ... ENCE DOESN'T NEED FIXES THAT'S ALL. are ex pro teams allowed to? Can you fix mibr? NRG and coL. Please -daps +stanislaw. -Let stanislaw lead actually good players with huge potential. -Save stan from this nightmare. And shroud fixes that? First off, he would never leave streaming for CS:GO again. Second off, there are better players than shroud in NA. I wonder though, could there be bad blood between daps and stanislaw? They played together on that old conquest line-up that eventually became optic and they first released stanislaw and kept daps only to release daps and bring back stanislaw after only a few weeks or so. I wanna recall that they had some trouble figuring out who they wanted to IGL on that line-up. Hopefully I'm wrong though. Not sure what actually happened , but i'd like to see Stan leading hungry youngsters instead of washed up players. He's really good IGL imho , both coL and OpTic had huge success with him. Liquid is the only team that did not worked , but guess there was some bad blood as stan wasnt really excited to play for TL. Optic managed to with Eleague and coL had much better results than year or two ago. 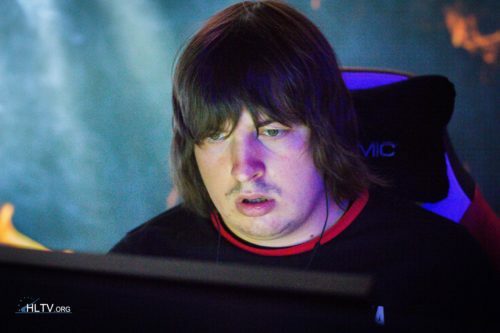 I believe in stanislaw as well and hopefully he can do something with complexity. Really good news that SicK is coming in, now they only need to release rickeh as well because damn, he hasn't been good in a long time and it's sad to see. Stans time on liquid was really weird, I guess they didn't click as teammates.